Gulag (Russian: ГУЛАГ) is an acronym used to describe the system of prison camps involving forced labor operated in the Soviet Union in the mid-twentieth century. It was officially established in 1930 as a development of the katorga system that operated in Siberia. During the leadership of Joseph Stalin millions were imprisoned in the Gulag system, many of whom died as a result of the inhumane conditions. The Gulag system was officially disbanded in 1960. Memoirs of prisoners, notably Alexander Solzhenitsyn, revealed the horrors of the system to the world. Although the camps have been closed and prisoners released, the impact of the Gulag lives on, affecting those who survived and now live in areas close to their former camp, those who did nothing to stop the atrocities, and the impression it gave to the rest of the world about man's inhumanity to man. Literally, the word GULAG is an acronym, meaning Glavnoe Upravlenie Lagerei, or Main Camp Administration. Over time, the word "Gulag" has also come to signify not only the administration of the concentration camps but also the system of Soviet slave labor itself, in all its forms and varieties: labor camps, punishment camps, criminal and political camps, women's camps, children's camps, transit camps. Even more broadly, "Gulag" has come to mean the Soviet repressive system itself, the set of procedures that prisoners once called the "meat-grinder": the arrests, the interrogations, the transport in unheated cattle cars, the forced labor, the destruction of families, the years spent in exile, the early and unnecessary deaths. Some authors have referred to all prisons and camps throughout Soviet history (1917–1991) as the Gulags. Also, the term's modern usage is often notably unrelated to the USSR: for example, in such expressions as "North Korea's gulag." Note that the original Russian acronym (ГУЛАГ, never in plural), described not a single camp, but the government department in charge of the entire camp system. The word was also never used in Russian, officially or colloquially, as the predominant term either for the system of labor camps or for the individual camps, which are usually referred to in Russian as simply "the camps" ("лагеря") or "the zone" ("зона," always singular). In addition to the most common category of camps that practiced hard physical labor and prisons of various sorts, other forms also existed. Sharashka (шарашка, the goofing-off place) were in fact secret research laboratories, where the arrested and convicted scientists, some of them prominent, were anonymously developing new technologies, and also conducting basic research. 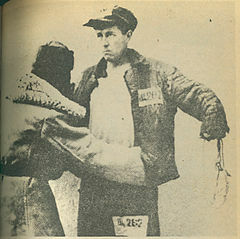 Psikhushka (психушка, the nut house), the forced medical treatment in psychiatric imprisonment was used, in lieu of camps, to isolate and break down political prisoners. This practice became much more common after the official dismantling of the Gulag system. Special camps or zones for children ("малолетки," maloletki, underaged), for disabled (in Spassk), and for mothers ("мамки," mamki) with babies. Camps for "wives of traitors of Motherland." There was a special category of repression: "Traitor of Motherland Family Member" (ЧСИР, член семьи изменника Родины). Under the supervision of Lavrenty Beria, who headed both NKVD and the Soviet atom bomb program until his demise in 1953, thousands of zeks were used to mine uranium ore and prepare test facilities on Novaya Zemlya, Vaygach Island, Semipalatinsk, among other sites. Reports even state that Gulag prisoners were used in early nuclear tests (the first was conducted in Semipalatinsk in 1949) for decontaminating radioactive areas and nuclear submarines. Beginning in 1918 camp-type detention facilities were set up as a reformed extension of earlier forced labor camps (katorgas), operated in Siberia as a part of the penal system in Imperial Russia. The two main types were Vechecka Special-purpose Camps (особые лагеря ВЧК) and forced labor camps (лагеря принудительных работ). They were installed for various categories of people deemed dangerous for the state: for common criminals, for prisoners of the Russian Civil War, for officials accused of corruption, sabotage, and embezzlement, various political enemies and dissidents, as well as former aristocrats, businessmen, and large landowners. The legal base and the guidance for the creation of the system of corrective labor camps (Russian: исправительно-трудовые лагеря, Ispravitel'no-trudovye lagerya), the backbone of what is commonly referred to as the "Gulag," was a secret decree of Sovnarkom of July 11, 1929, about the utilization of penal labor that duplicated the corresponding appendix to the minutes of the Politburo meeting of June 27, 1929. As an all-USSR institution and a main administration with the OGPU, the Soviet Secret Police, the GULAG was officially established on April 25, 1930, as the "ULAG" by the OGPU order 130/63 in accordance with the Sovnarkom order 22, p. 248, dated April 7, 1930, and was renamed GULAG in November. Creation of the GULAG system is widely attributed to the ingenuity of Naftaly Frenkel, a Turkish-born merchant with close ties with the OGPU. In the early 1930s, a drastic tightening of Soviet penal policy caused a significant growth of the prison camp population. During the period of the Great Terror (1937-1938), mostly arbitrary mass arrests caused another upsurge in inmate numbers. During these years, hundreds of thousands of individuals were arrested and sentenced to long prison terms on the grounds of one of the multiple passages of the notorious Article 58 of the Criminal Codes of the Union republics, which defined punishment for various forms of "counterrevolutionary activities." During World War II, Gulag populations declined sharply, owing to the mass releases of hundreds of thousands of prisoners who were conscripted and sent directly to the front lines (often into penal battalions, who were thrown into the most dangerous battles and experienced high casualty rates) and a steep rise in mortality in 1942–1943. After the war, the number of inmates in prison camps and colonies again rose sharply, reaching approximately 2.5 million people by the early 1950s (about 1.7 million of whom were in camps). While some of these were deserters and war criminals, there were also 339,000 Soviet citizens repatriated from displaced persons camp in Germany (including thousands of former military personnel) charged with treason and aiding the enemy. Tens of thousands of these were eventually convicted and transferred to prison camps. Large numbers of civilians from Russian territories which came under foreign occupation and territories annexed by the Soviet Union after the war were also sent there. The major reason for the post-war increase in the number of prisoners was the tightening of legislation on property offenses in summer 1947 (at this time there was a famine in some parts of the USSR, claiming about 1 million lives), which resulted in hundreds of thousands of convictions to lengthy prison terms, often on the basis of cases of petty theft or embezzlement. For years after World War II, a significant minority of the inmates were Balts and Ukrainians from lands newly incorporated into the USSR, as well as Finns, Poles, Romanians and others. Prisoners of wars, in contrast, were kept in a separate camp system that was managed by a separate main administration within the NKVD/MVD. The state continued to maintain the camp system for a while after Stalin's death in March 1953, although the period saw the grip of the camp authorities weaken and a number of conflicts and uprisings occur. The subsequent amnesty program was limited to those who had to serve at most five years, therefore mostly those convicted of common crimes were then freed. The release of political prisoners started in 1954 and became widespread, and also coupled with mass rehabilitations after Nikita Khrushchev's denunciation of Stalinism in his Secret Speech at the 20th Congress of the Communist Party of the Soviet Union (CPSU) in February 1956. Altogether, according to estimates on the basis of archival documents, about 18-20 million people had been prisoners in camps and colonies throughout the period of Stalinism at one point or another. By the end of the 1950s, virtually all "corrective labor camps" were dissolved. Colonies, however, continued to exist. Officially, the GULAG was liquidated by the MVD order 20 of January 25, 1960. The total documentable deaths in the system of corrective-labor camps and colonies from 1930 to 1956 are more than 1.5 million, including political and common prisoners. This number does not include the more than 800,000 executions of "counterrevolutionaries" during the period of the "Great Terror," since they were mostly conducted outside the camp system and were accounted for separately. From 1932 to 1940, at least 390,000 peasants died in places of labor settlements. One may also assume that many of the survivors suffered permanent physical and psychological damage. Deaths at some camps are documented more thoroughly than those at others. Extreme production quotas, malnutrition, harsh elements, inadequate housing, hygiene, and medical care, as well as brutal treatment by camp officials, guards, and fellow prisoners were the major reasons for high fatality rates, which in extreme cases could be as high as 80 percent. Logging and mining were among the most common of activities, as well as the harshest. In a Gulag mine, one person's production quota (norm) might be as high as 29,000 pounds (13,000 kilograms) of ore per day, with quotas being pushed up by tufta ("pretending to work"), whereby more work would be reported than had actually been done either through bribery, good relations, sexual favors, or deception. Failure to meet a quota resulted in a loss of vital rations (going down to 300 grams of "black rye bread," 5 grams of flour, 25 grams of buckwheat or macaroni, 27 grams of meat and 170 grams of potato). Lower rationing meant lower productivity, and this vicious cycle usually had fatal consequences through a condition of being emaciated and devitalized, dubbed dokhodiaga (доходяга), a term derived from the Russian verb dokhodit (to reach (the limit of endurance)) and roughly translated as "goners." However, the status of dokhodyaga could also be reached despite having the status of udarnik (superproductive worker) and receiving higher rations (in one camp, udarniks received a kilo of bread a day) and other benefits such as better housing conditions. This is because the earned extra food often was insufficient to recompense the energy spent on the effort to fulfill the higher quotas, which exceeded the standard norms by 50 percent or more. Inmates were often forced to work in inhuman conditions. In spite of the brutal climate, they were almost never adequately clothed, fed, or given medical treatment, nor were they given any means to combat the lack of vitamins that led to nutritional diseases such as scurvy. The nutritional value of basic daily food ration varied around 1,200 calories (5,000 kilojoules), mainly from low-quality bread distributed by weight. According to the World Health Organization, the minimum requirement for a heavy laborer is in the range of 3,100–3,900 calories (13,000 to 16,300 kJ) daily. Administrators routinely stole from the camp stockpiles for personal gain, as well as to curry favor with superiors. As a result, inmates were forced to work even harder to make up the difference. Administrators and "trustees" (inmates assigned to perform the duties servicing the camp itself, such as cooks, bakers or stockmen, dubbed pridurki [translated as "morons" or "fools," but the real meaning was "the ones who fool around" (instead of doing hard labor)] skimmed off the medicines, clothing, and foodstuffs. In the early days of Gulag, the locations for the camps were chosen primarily for the ease of isolation of prisoners. Remote monasteries in particular were frequently reused as sites for new camps. The site on the Solovetsky Islands in the White Sea is one of the earliest and also most noteworthy, taking root soon after the Russian Revoltion in 1918. The colloquial name for the islands, "Solovki," entered the vernacular as a synonym for the labor camp in general. It was being presented to the world as an example of the new Soviet way of "re-education of class enemies" and reintegrating them through labor into the Soviet society. Initially the inmates, the significant part being Russian intelligentsia, enjoyed relative freedom (within the natural confinement of the islands). Local newspapers and magazines were edited and even some scientific research was carried out (for example, a local botanical garden was maintained, but unfortunately later lost completely). Eventually it turned into an ordinary Gulag camp; in fact some historians maintain that Solovki was a pilot camp of this type. Maxim Gorky visited the camp in 1929 and published an apology of it. With the new emphasis on Gulag as the means of concentrating cheap labor, new camps were then constructed throughout the Soviet sphere of influence, wherever the economic task at hand dictated their existence (or was designed specifically to avail itself of them, such as Belomorkanal or Baikal Amur Mainline), including facilities in big cities—parts of the famous Moscow Metro and the Moscow State University new campus were built by forced labor. Many more projects during the rapid industrialization of the 1930s, wartime, and post-war periods were fulfilled on the backs of convicts, and the activity of Gulag camps spanned a wide cross-section of Soviet industry. The majority, but by no means all, of Gulag camps were positioned in extremely remote areas of northeastern Siberia (the best known clusters are Sevvostlag (“The North-East Camps'”) along Kolyma river and Norillag near Norilsk) and in the south-eastern parts of the Soviet Union, mainly in the steppes of Kazakhstan (Luglag, Steplag, Peschanlag). These were vast and uninhabited regions with no roads (in fact, the construction of the roads themselves was assigned to the inmates of specialized railroad camps) or sources of food, but rich in minerals and other natural resources (such as timber). However, camps were generally spread throughout the entire Soviet Union, including the European parts of Russia, Belarus, and Ukraine. There were also several camps located outside of the Soviet Union, in Czechoslovakia, Hungary, Poland, and Mongolia, which were under the direct control of the Gulag. Not all camps were fortified; in fact some in Siberia were marked only by posts. Escape was deterred by the harsh elements, as well as tracking dogs that were assigned to each camp. While during the 1920s and 1930s native tribes often aided escapees, many of the tribes were also victimized by escaped thieves. Tantalized by large rewards as well, they began aiding authorities in the capture of Gulag inmates. Camp guards were also given stern incentive to keep their inmates in line at all costs. If a prisoner escaped under a guard's watch, the guard would often be stripped of his uniform and become a Gulag inmate himself. Further, if an escaping prisoner was shot, guards could be fined amounts that were often equivalent to one or two week’s wages. In some cases, teams of inmates were dropped to a new territory with a limited supply of resources and left to initiate a new camp or die. Sometimes it took several attempts before the next wave of colonists could survive the elements. The area along the Indigirka River was known as the Gulag inside the Gulag. In 1926 the Oimiakon (Оймякон) village in this region registered the record low temperature of −71.2 °C (−96 °F). Many eyewitness accounts of Gulag prisoners were published before World War II. Julius Margolin's book A Travel to the Land Ze-Ka was finished in 1947, but it was impossible to publish such a book about the Soviet Union at these times, immediately after World War II. Gustaw Herling-Grudziński wrote A World Apart, which was translated into English by Andrzej Ciolkosz and published with an introduction by Bertrand Russell in 1951. By describing life in the gulag in a harrowing personal account, it provides an in-depth, original analysis of the nature of the Soviet communist system. Written ten years before Alexander Solzhenitsyn’s One Day in the Life of Ivan Denisovich, it brought him international acclaim. Solzhenitsyn's book The Gulag Archipelago was not his first literary work about labor camps. His previous book on the subject, One Day in the Life of Ivan Denisovich, about a typical day of the Gulag inmate, was originally published in the most prestigious Soviet monthly, Novij Mir, (New World) in November of 1962, but was soon banned and withdrawn from all libraries. It was the first work to demonstrate the Gulag as an instrument of governmental repression against its own citizens on such a massive scale. 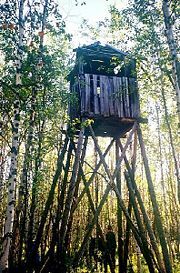 The Gulag has become a major influence on contemporary Russian thinking, and an important part of modern Russian folklore. Many songs by the authors-performers known as the "bards," most notably Vladimir Vysotsky and Alexander Galich, neither of whom ever served time in the camps, describe life inside the Gulag and glorified the life of "Zeks." Words and phrases that originated in the labor camps became part of the Russian/Soviet vernacular in the 1960s and 1970s. The memoirs of Solzhenitsyn, Alexander Dolgun, Varlam Shalamov, and Yevgenia Ginzburg, among others, became a symbol of defiance in Soviet society. These writings, particularly those of Solzhenitsyn, harshly chastised the Soviet people for their tolerance and apathy regarding the Gulag, but at the same time provided a testament to the courage and resolve of those who were imprisoned. Another cultural phenomenon in the USSR linked with the Gulag was the forced migration of many artists and other people of culture to Siberia. This resulted in a Renaissance of sorts in places like Magadan, where, for example, the quality of theater production was comparable to Moscow's. 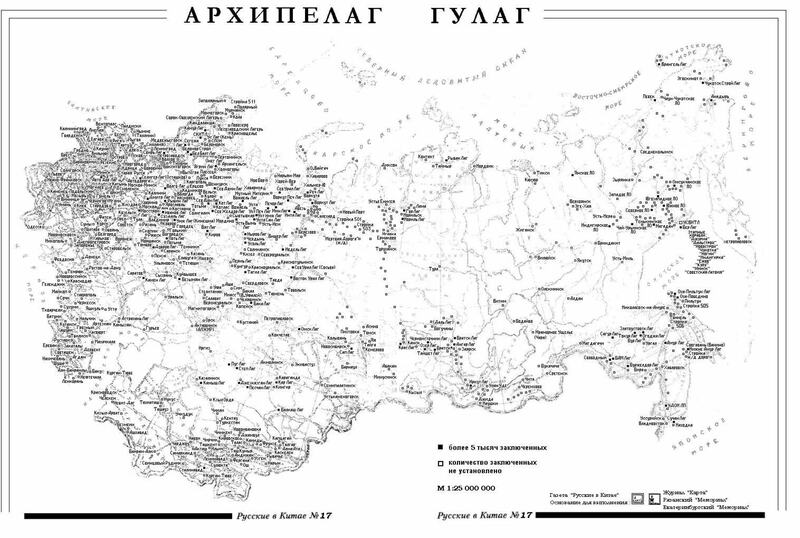 Soviet state documents show that among the goals of the Gulag was colonization of sparsely populated remote areas. To this end, the notion of "free settlement" was introduced. When well-behaved persons had served the majority of their terms, they could be released for "free settlement" (вольное поселение, volnoye poseleniye) outside the confinement of the camp. In addition, for persons who served full terms but who were denied the free choice of place of residence, it was recommended to assign them for "free settlement" and give them land in the general vicinity of the place of confinement. This idea was also inherited from the katorga system. Persons who served a term in a camp or in a prison were restricted from taking a wide range of jobs. Concealment of a previous imprisonment was a triable offense. Persons who served terms as "politicals" were nuisances for "First Departments" (Первый Отдел-"Pervyj Otdel," outlets of the secret police at all enterprises and institutions), because former "politicals" had to be monitored. Many people released from camps were restricted from settling in larger cities. After serving long terms, many people had lost their former job skills and social contacts. Therefore upon final release many of them voluntarily decided to become (or stay) "free settlers." This decision was also influenced by the knowledge of the restrictions for them everywhere else. When many of the previously released prisoners were re-seized during the wave of arrests that began in 1947, this happened much more often to those who had chosen to move back to their home town proximity rather than to those who remained near the camps as free settlers. Anne Applebaum (2003) described the releases of political prisoners from the camps as late as 1987. In November 1991, the Russian parliament, the Supreme Soviet of RSFSR, passed the Declaration of Rights and Freedoms of the Individual, which guaranteed theoretically, among other liberties, the right to disagree with the government. ↑ Applebaum, Anne. Gulag: a History – Introduction. Retrieved March 19, 2007. ↑ Barnett, Antony. “Revealed: the gas chamber horror of North Korea's gulag.” Guardian Unlimited. February 1, 2004. Retrieved March 19, 2007. ↑ Kozlov, V. P., et al. (eds.). Istorija stalinskogo Gulaga: konec 1920-kh - pervaia polovina 1950-kh godov. Sobranie dokumentov v 7 tomakh. Moscow: ROSSPEN 2004, vol. 4: Naselenie GULAGa. ↑ On the number of prisoners and their mortality, see Getty, Rittersporn and Zemskov's paper in American Historical Review 98 (4). Applebaum, Anne. 2003. Gulag: A History. Broadway Books. ISBN 0767900561. Gregory, Paul and Valery Lazarev (eds.). The Economics of Forced Labour: The Soviet Gulag. Stanford, CA: Hoover Institution Press, 2003. Full text available online. This page was last modified on 18 July 2017, at 19:18.